After boarding the Metro, getting a little lost, asking a friendly local for directions later, we arrived at 1933 Shanghai. 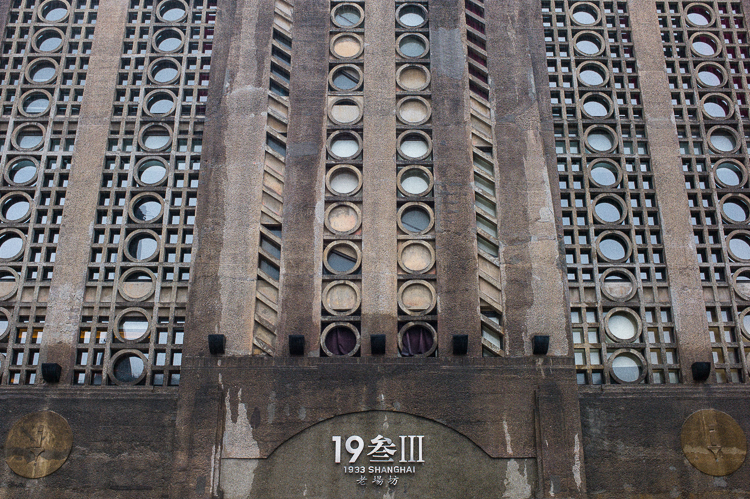 Designed by British architects and constructed in 1933 by Chinese developers, 1933 Shanghai started out as an incredible concrete slaughterhouse which was once one of the largest of its kind in the East. It soon served other purposes after its retirement such as a medicine factory, cold storage facility, to its current state; a gathering place for the arts while dotted with different boutiques, restaurants and cafés. The walls in the building are 50cm thick and hollow to help control the air temperature and you can actually feel the air flow around you due to the design of the building which I assume is to control the smell from the slaughter. There are also columns of light cutting through the concrete naturally lighting up the entire place. Due to its stunning urban decay look, heaps of photography enthusiasts and artists gather there. To photograph, draw, paint and explore. I would definitely recommend a visit to this place to check out the different boutiques and themed cafés they have. At the same time, to admire the urban decay and unique architecture of the building. You can find the 1933 Shanghai at No. 10 Shajing Lu 中国上海市上海虹口区沙泾路10. The dog café which was next to a stuffed animal café!